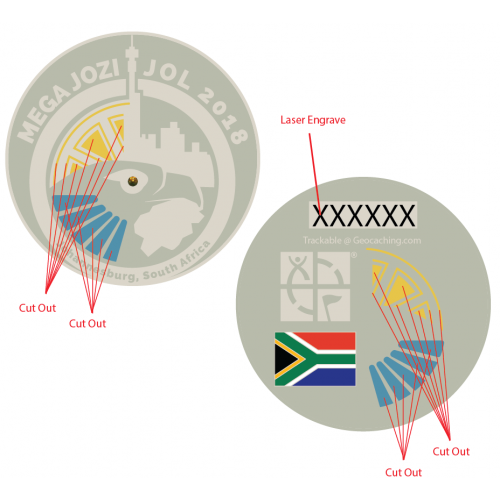 The front of the coin depicts the Mega Logo and indicates the location in Johannesburg South Africa. On the back the coin is adorned with the South African flag and the Geocaching HQ logo. The coin is also a sun catcher coin with the neck of the eagle and the mine head gear in the design providing the African sun a colourful chance to play.